The solution to this problem is easily described: We use the same object again in exactly the same place and turn it a bit. The most efficient way is by selecting the node of the object in question and double it with [Ctrl] + [D]. The new node is to the name an exact copy of the original node. A double click on the new node leads us to the properties of the newly created object. Here we’ll only set a rotation of 180 degrees around the y-axis. To do that, in the middle box next to ‘Rotate’ we type ’180′. A test render shows the effect of this action. The foliage is now a lot more dense than before, since there are twice as much branches now. 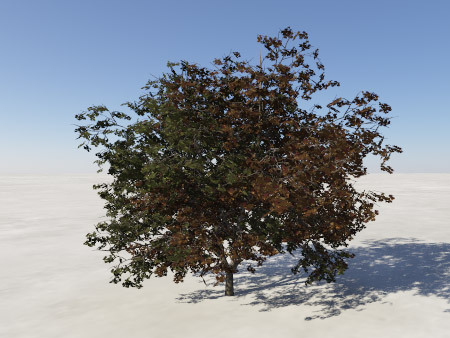 By rotating the tree, the structure is evenly distributed over the tree. However, we can take this game a step further. In the image on the right, the object wasn’t just doubled, but tripled. The duplicates are rotated 60 and 120 degrees. The values can be chosen differently as well. If you want to divide the rotation more evenly, you can set them to 0 (the unchanged original), 120 and 240 degrees. Unfortunately this method has its drawbacks. One of those might be that the tree is rotationally symmetrical. 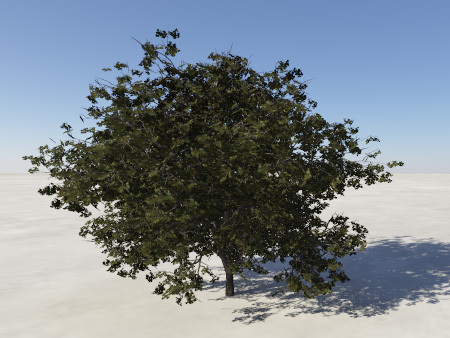 In the worst case the tree would look exactly the same from several angles when set to equal distribution. In another, no less problematic case, the difference between angles is very small. Then ‘trails’ of equal branches become visible (see the example on the right with 10 degrees difference). Generally, this applies as well: the smaller the angle, the less the same densely covered branches and “holes” in the foliage even out (see right again). The best way to distribute the rotation value is to randomly choose from the full 0 – 360 degrees, with no less than 20 degrees difference. Our approach can still be improved. For example, we can resize the additional object to be smaller than the original. That way the original covers the copy for the most part, and prevents the copy from changing the overall shape of the tree too much, while still filling up the inner foliage. Additionally: Why would we only double and resize the object? We can give the clone some different textures while we’re at it. Even better: we can combine completely different objects! Unprecedented possibilities present themselves. 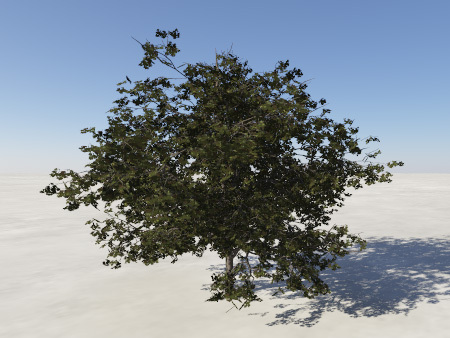 For example: we can create trees with multicolored leaves. 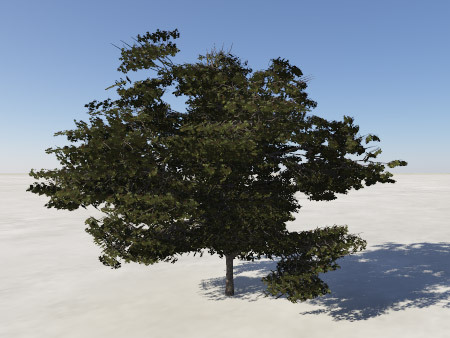 But also a combination of multiple trees to make one big tree is possible. This technique is also applicable for populations. You just have to copy the entire population and change the reference-object of the copy. Yup, man, you got it! 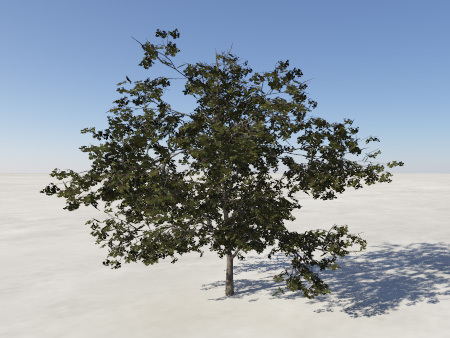 I often do this sort of thing to make trees look a little more substantial in my renders. You can do this with node workflow in a popilation? i was tryng to create 2 popilations and rotate one of them 30 degres but the render can´t work well? any idea?